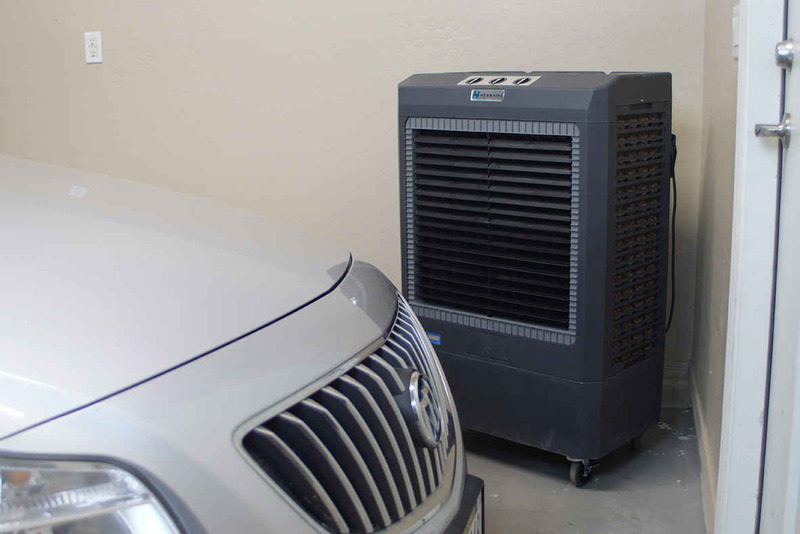 Stay cool this summer with an evaporative cooler. Also known as swamp coolers, evaporative coolers pull hot air through water-saturated cooling pads. This increases the air’s humidity. As the added moisture quickly evaporates, the air loses heat. The fan blows a cool breeze of fresh air into your workspace. The same principle is at work when you step out of a pool on a hot, windy day. The warm wind passes over your skin and you feel cold. 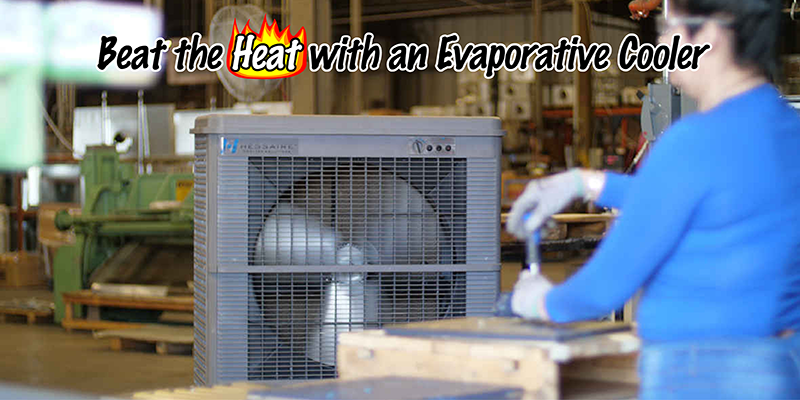 Thanks to the principle of evaporative cooling, you can enjoy efficient cool air in your shop, garage, or even outside. 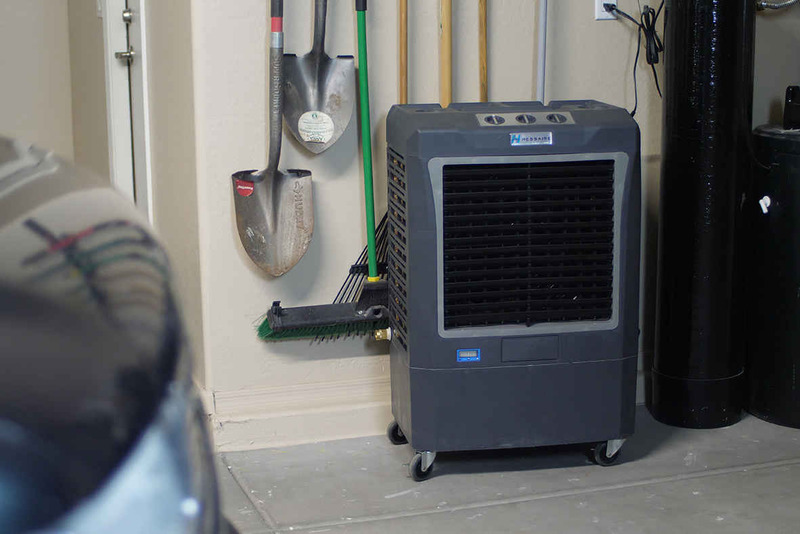 In addition, evaporative coolers are cheaper and consume less energy than air conditioners. 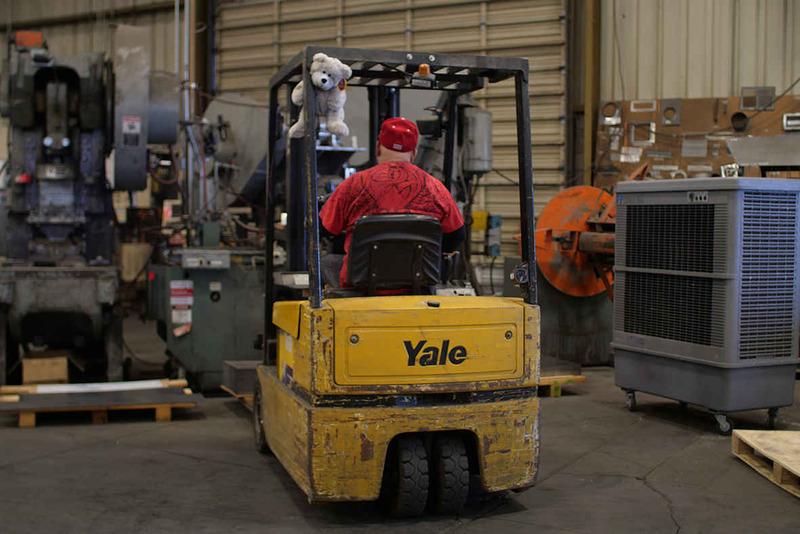 KMS Tools has evaporative coolers for spaces from 950 to 3,000 square feet. Shop now or keep reading to learn more about these units. The MC37V is compact, yet it delivers cool air at the rate of 3,100 cubic feet per minute (CFM). This unit is effective for spaces 950 square feet and smaller. It’s portable, with four heavy-duty casters, and it’s equipped with Hessaire’s long-lasting Xel50 high-density cooling pad. The MC61V is designed to cool spaces as large as 1,600 square feet. Rated to 5,300 CFM, this portable unit efficiently distributes cool air with its patented winged prop and oscillating louvres. And with its minimal footprint, you notice the cool and not the cooler. Made to cool spaces up to 3,000 square feet, the MC92V cranks out cool air at 11,000 CFM, while drawing only 5.8 amps. Like the MC37V and MC61V, this unit is portable and features three cooling panels, adjustable air flow, and the option to fill the reservoir manually or with a hose connection. Indoor or outdoor, evaporative coolers can provide energy-efficient cooling on long, hot summer days. Check out kmstools.com to find the right evaporative cooler for your workspace. 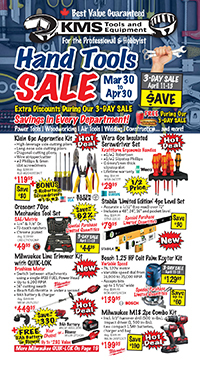 This entry was posted in Archives, Outdoor Power Equipment, Shop Equipment and tagged main_page by Your Friends in the Tool Business. Bookmark the permalink.